Many genealogists — The Legal Genealogist included — use online storage services to keep backup copies of critical files. There are a lot of these services around, and one of the biggest, with both free storage and paid storage depending on what you sign up for, is Dropbox. When you use our Services, you provide us with things like your files, content, email messages, contacts and so on (“Your Stuff”). Your Stuff is yours. These Terms don’t give us any rights to Your Stuff except for the limited rights that enable us to offer the Services. We need your permission to do things like hosting Your Stuff, backing it up, and sharing it when you ask us to. Our Services also provide you with features like photo thumbnails, document previews, email organization, easy sorting, editing, sharing and searching. These and other features may require our systems to access, store and scan Your Stuff. You give us permission to do those things, and this permission extends to trusted third parties we work with. Though the words are changing a bit, the overall meaning of those provisions aren’t changing from what they were before this 2014 amendment. Users are still bound by an Acceptable Use Policy, which isn’t changing, and which bars the usual sorts of behaviors like monkeying around with the security systems and trying to get access to other people’s files. So what are the key changes? There are two of them. Law & Order. We may disclose your information to third parties if we determine that such disclosure is reasonably necessary to (a) comply with the law; (b) protect any person from death or serious bodily injury; (c) prevent fraud or abuse of Dropbox or our users; or (d) protect Dropbox’s property rights. Dropbox also posted has an online posting, Dropbox’s Government Data Requests Principles, explaining its views on this. Let’s Try To Sort Things Out First. We want to address your concerns without needing a formal legal case. Before filing a claim against Dropbox, you agree to try to resolve the dispute informally by contacting [email protected] We’ll try to resolve the dispute informally by contacting you via email. If a dispute is not resolved within 15 days of submission, you or Dropbox may bring a formal proceeding. We Both Agree To Arbitrate. You and Dropbox agree to resolve any claims relating to these Terms or the Services through final and binding arbitration, except as set forth under Exceptions to Agreement to Arbitrate below. Opt-out of Agreement to Arbitrate. You can decline this agreement to arbitrate by clicking here and submitting the opt-out form within 30 days of first accepting these Terms. Arbitration Fees and Incentives. The AAA rules will govern payment of all arbitration fees. Dropbox will pay all arbitration fees for claims less than $75,000. If you receive an arbitration award that is more favorable than any offer we make to resolve the claim, we will pay you $1,000 in addition to the award. Dropbox will not seek its attorneys’ fees and costs in arbitration unless the arbitrator determines that your claim is frivolous. Exceptions to Agreement to Arbitrate. 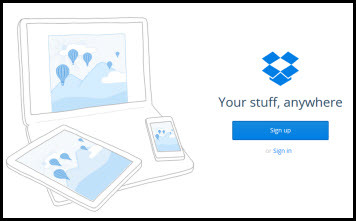 Either you or Dropbox may assert claims, if they qualify, in small claims court in San Francisco (CA) or any United States county where you live or work. Either party may bring a lawsuit solely for injunctive relief to stop unauthorized use or abuse of the Services, or intellectual property infringement (for example, trademark, trade secret, copyright, or patent rights) without first engaging in arbitration or the informal dispute-resolution process described above. No Class Actions. You may only resolve disputes with us on an individual basis, and may not bring a claim as a plaintiff or a class member in a class, consolidated, or representative action. Class arbitrations, class actions, private attorney general actions, and consolidation with other arbitrations aren’t allowed. • If you don’t opt out, any disagreement between you and Dropbox will be submitted to an arbitrator from the American Arbitration Association who generally isn’t bound by the rules of evidence that courts have to follow; the arbitrator’s decision will be final, and you won’t be able to get a court to review it except under very unusual circumstances. Opting out is a simple process; you click through to a form and fill out your account information. • Even if you do opt out of the arbitration clause, you won’t be able to join forces with other users to sue as a group in what’s called a class action lawsuit. And you’d have to file any suit you do bring as an individual in California. So… what do I think about these? On one hand, I’m not a fan of compulsory arbitration. Experience shows that, in general, arbitration is skewed towards the big guys and not towards individual consumers. And I don’t like the idea of saying individuals with small individual claims can’t band together in a class to save on their own costs and hassles in trying to collect when a company fouls up. On the other hand, for most of us, Dropbox’s services are free, and suing somebody for making a mistake when I’m not paying for the service at all strikes me as being a bit unreasonable too. And there are terms written into this arbitration agreement that are better than most, such as Dropbox paying all the arbitration fees, not trying to collect its own attorneys fees except in frivolous cases, and paying a premium any time a consumer wins an award higher than Dropbox offers in settlement. Bottom line: if you’re paying for online backup by Dropbox, have your company lawyer take a careful look at the new terms. For the rest of us, if the arbitration concept bothers you, go ahead and opt out. And if the class action ban bothers you more, choose another online backup service. Dropbox is one more company who is having to acquiesce to the government’s overreach of accessing private information. Everything you drop in Dropbox will now be tracked and possibly stored at the government’s discretion. I’m sorry but “Everything you drop in Dropbox will now be tracked and possibly stored at the government’s discretion” sounds an awful lot like “black helicopters flying overhead.” Please take a minute and actually read what Dropbox says — it will vigorously resist any effort by government to access its holdings en masse. If you have stuff you don’t want the government to see, or could be self-incriminating, don’t store it on Dropbox. So if you are planning a bank robbery, or some fine art heist, planning to break the spouse out of prison, committing tax fraud, etc., just don’t use Dropbox for the planning documents. Seems Dropbox just doesn’t want to get in the middle of any illegal activity.